This is Hard Picture Riddle for Adults in which one has to find the 5 differences in two given pictures. This Picture Riddle will help you to increase your visual IQ. 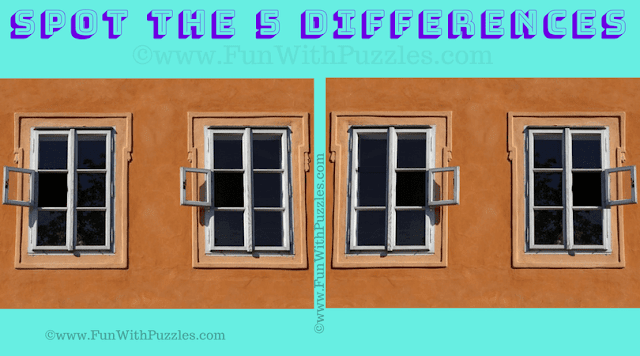 Here in this Spot the Differences Hard Picture Riddle which contains two puzzle images which are mirror image of each other. 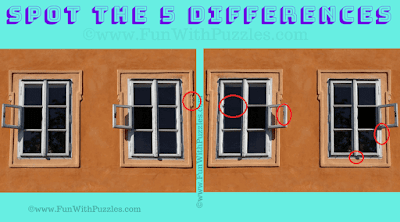 There are five differences in these two pictures. Consider yourself genius in case you are able to find all five difference in these two puzzle images without looking at the answer. Let's test it out if you are keen observer to crack this hard picture riddle? Answer of this "Spot the Differences Hard Picture Riddle for Adults", can be viewed by clicking on button. Please do give your best try before looking at the answer.